theZoomer: Television For Boomers With Zip! Poll: CARP Members Think Home Care Services Need Improvement - theZoomer: Television For Boomers With Zip! Considering that the quality of senior care living centres is mixed at best, some older adults would rather spend their later years at home. While this should be viewed as a sensible perspective, what throws a wrench into the mix is how some people feel about the quality of home care service providers. In May, CARP – a national, non-partisan, non-profit organization that advocates for financial security and improved health care for Canadians as we age – asked 906 Ontario CARP members for their thoughts on home care. Out of those polled, 68% of respondents are “not confident” that they, or their loved ones, “will receive adequate, publicly funded, home care and community support services to keep living at home in the future.” What’s more, 23% said they’ve purchase private home care services, because they were unable to receive as much publicly funded homecare as they needed. 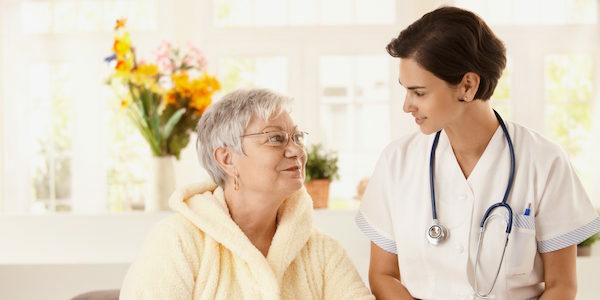 “Home care is such a critical part of ensuring that older adults can stay at home, stay as well as possible, and to help unburden hospitals and long-term care homes,” said CARP’s Laura Tamblyn Watts, National Director of Policy, Law & Research. What types of home care services are most desired? The majority of those surveyed (58%) wanted more access to support care services. Meanwhile 39% would like an increase in homemaking services like cooking and cleaning, while 34% believe more care services focused on dementia should be available. For Deborah Simon, CEO of the Ontario Community Support Association, progress could be found by improving the strength of the home care workforce. On a recent episode of “theZoomer,” Libby Znaimer and a round table of health care experts discussed ways to deal with and alleviate ‘caregiver burnout.’ You can watch this episode below.